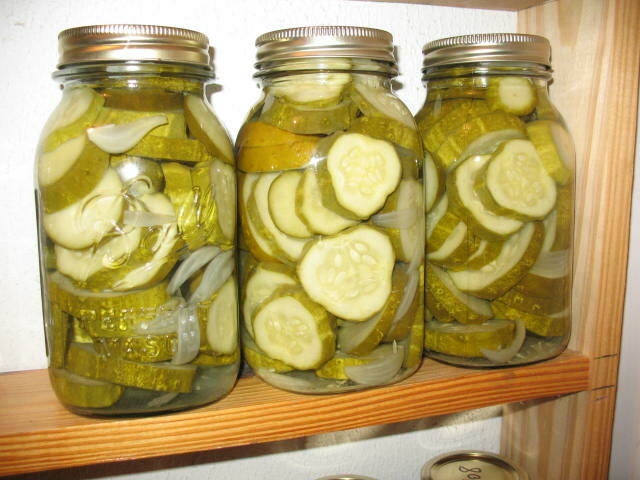 I love the taste of home canned dill pickles, and they are really easy to make. 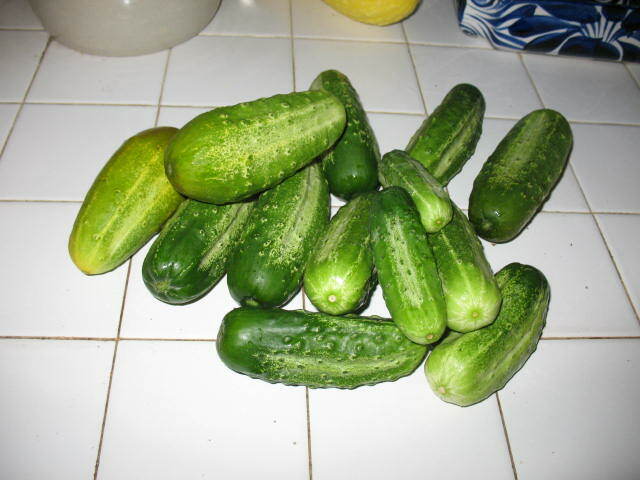 I grow my own cucumbers. I always plant Boston Pickling cucumbers. They are an old heirloom variety that is specially suited to canning. I like to raise my cucs on a trellis to save space in the garden and to keep them up off of the ground. 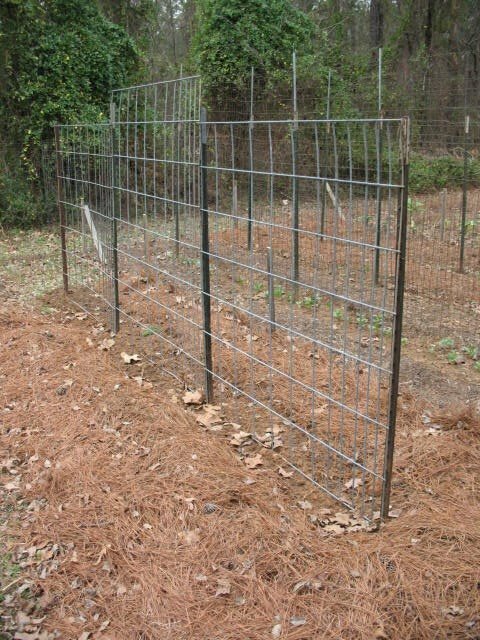 I use an old galvanized cattle panel and wire it up on metal T-posts. Then I plant my seed about 6 inches apart along the bottom of the panel. A little 8-8-8 fertilizer and careful watering will produce a good crop. 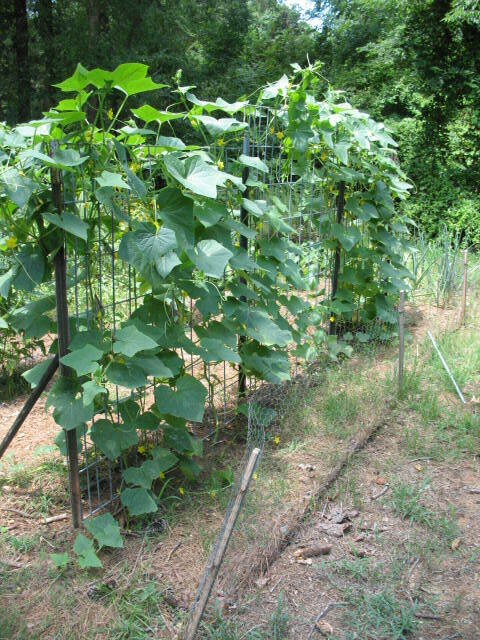 Pictured below is my cucumber trellis before and after. When the cucumbers start to get ripe you have to watch them like a hawk. One day they’ll be little bitty things, and the next day they’ll be six inches long. I pick them when they are about 5 or 6 inches long, wash them thoroughly, and store in the refrigerator until I have enough to make 4 quarts (nothing magic about this number, it’s just what my water bath canner will hold at one time). Pictured below: Garden fresh cucumbers. Here’s my recipe for homemade dill pickles. • Place all spices in spice bag and suspend in boiling water, vinegar and salt. • Discard any jars whose lids have bowed up while in storage as this is a sign that contents have gone bad.